Dorking’s youngest military casualty in the First World War is often said to have been Joe Strudwick who was killed at the age of 15 years and 11 months on 14th January 1916. Strudwick was born in Falkland Road on February 14th 1900 and so named Valentine, though he was known as Joe. He later moved with his gardener father, Jesse and laundress mother, Louisa (nee Fuller) and siblings to Orchard Road. After leaving St Paul’s School he probably worked for his uncle, a coal merchant, and in other manual work. Valentine Joe Strudwick enlisted in January 1915 in Lambeth, Surrey. He lied about his age. 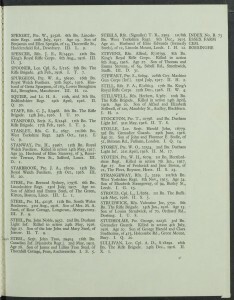 At the time of his enlistment he was only 14 years old and said to be living at Croydon, Surrey. He became part of the 8th Battalion Rifle Brigade (the Prince Consort´s Own). 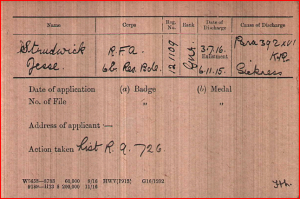 He was a rifleman – regimental number 5750. 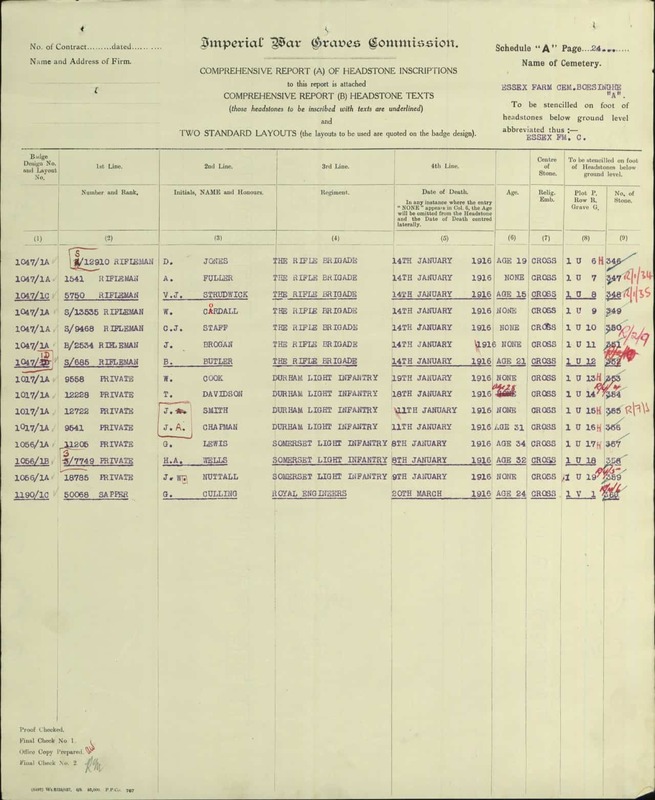 Valentine disembarked in France on the 12th of August 1915. Valentine Joe died in action at Boezinge, West Flanders in Belgium on Friday 14th of January 1916. He was not yet 16 years old and became one of the youngest battle casualties of the war. Louisa, living at the time at 70 Orchard Road, Dorking Surrey, received the letter with this sad news explaining that Valentine was killed by a shell. He died painlessly and quite instantly. Fellow soldiers carried him to a little cemetery behind the lines where he was buried the next morning (the 1916 Dorking and Leatherhead Advertiser). Valentine´s father Jesse Strudwick received £8, 19s and 1d on the 14th of July 1916 and further £6 on the 1st of September 1919 in Soldier’s Effects. Valentine´s mother Louisa chose the inscription on the headstone: “Not Gone From Memory Or From Love”. He received the Victory Medal, the British War Medal and the 1915 Star Medal. 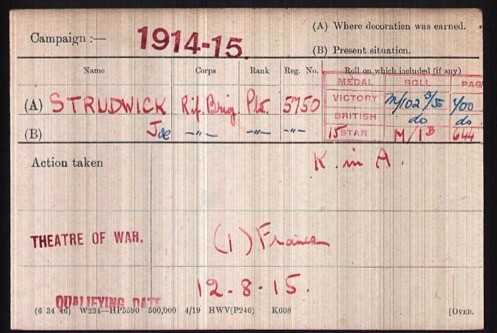 Valentine’s oldest brother Jesse Strudwick enlisted into the Army on the 6th of November 1915. 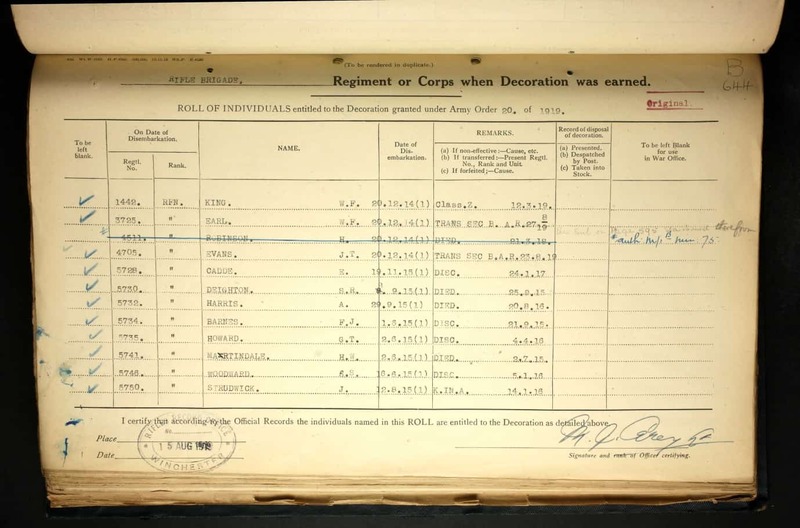 He became part of the 6th Battalion Reserve Brigade Royal Field Artillery. He was a gunner. His regimental number was 121109. 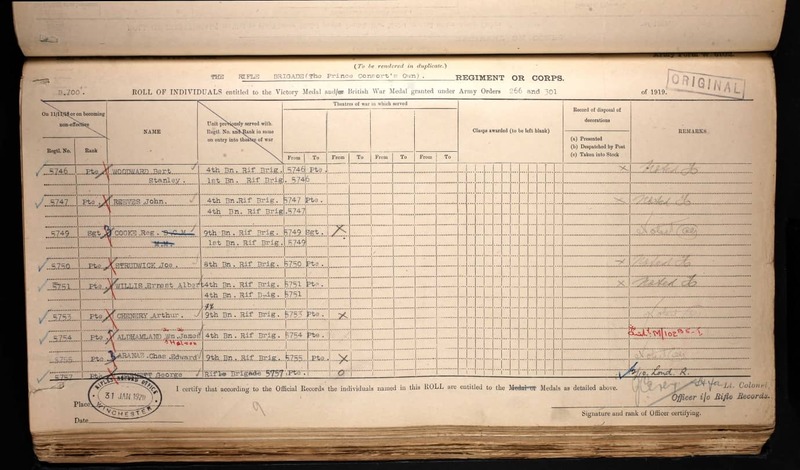 Jesse was discharged on the 3rd of July 1916 on medical grounds (sickness). ‘Another Dorking lad has achieved honour by laying down his life for his country. Pte. 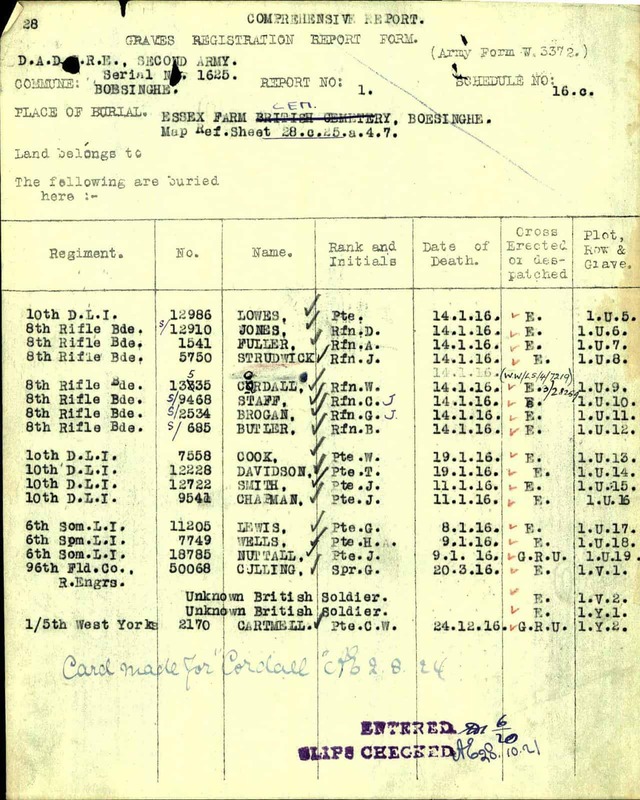 Valentine Joe Strudwick, of the 8th Rifle Brigade, joined up twelve months ago last January, and at the time of his death, on Jan.14th he had not reached his sixteenth birthday, he having been born on St. Valentine’s Day, 1900. His mother would naturally have liked to have kept him out of the Army for at least a year or two, but young Strudwick would not have it – a fine example to those of maturer years who have not yet joined, and perhaps a reproach? The deceased was Mrs Strudwick’s second surviving son, and her grief is the greater because of the fact that she had not been able to see him since he joined the Army. She has another son in the Royal Field Artillery. Valentine Joe Strudwick was born in the 1st quarter of 1900, in Dorking, Surrey to Louisa Strudwick nee Fuller and jobbing gardener/labourer Jesse Strudwick. According to the 1916 Dorking and Leatherhead Advertiser the name Valentine derived from the date he was born: the 14th of February, Valentine’s Day. Valentine had two known step sisters: Daisy Ada born on the 7th of March 1884 Dorking Surrey and Alice Rosetta born on the 9th of March 1886 Dorking Surrey. 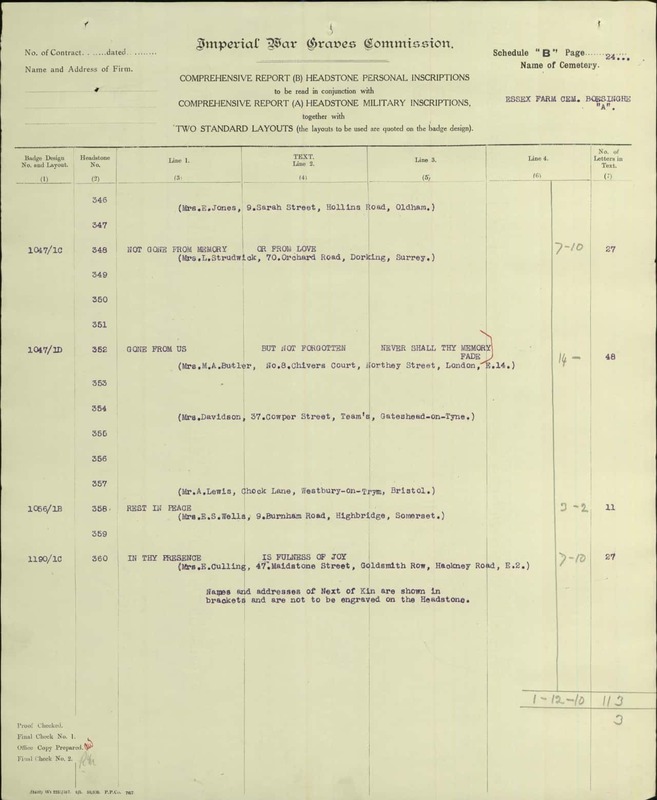 He had five known blood siblings: Jesse born in the 2nd quarter of 1891; Florence Lilian born about 1897; Charles Henry born in the 1st quarter of 1902; Jack born in the 4th quarter of 1904 and Dora Louisa born on the 1st December of 1907. All were born in Dorking. 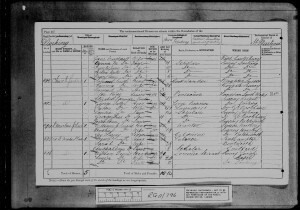 Valentine´s mother Louisa Fuller was born on the 20th of August 1866 (wrongly transcribed as 10th) in Dorking, to lime burner George Fuller (born about 1832 in Dorking) and Susan Fuller (born about 1834 in Great Bookham, Surrey). Louisa was baptised on the 14th of October 1866 at St Martin’s Church in Dorking. 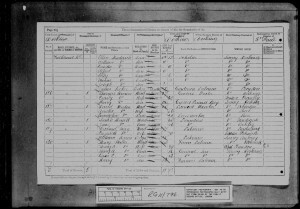 Louisa had five known siblings: Alice born about 1857 (the 1861 Census); Arthur born about 1859 (the 1861 Census); Agness born about 1861 (the 1861 Census) all in Dorking; George Frederick born about 1870 in Surrey and Jessie Ann born about 1875 Betchworth Surrey. During the 1881 Census, George Fuller, Susan Fuller and their children Louisa, George Frederick and Jesse Ann lived at Church Gardens, Dorking, Surrey. George was working as a lime burner and Susan was a laundress. Valentine´s father Jesse Strudwick was born in the fourth quarter of 1862 in Dorking, to labourer/agricultural labourer Charles Strudwick (born about 1829 in Dorking) and Rosetta Strudwick (born about 1840 Shere, Surrey). He was baptised on the 11th of January 1863 at Holy Trinity in Westcott. 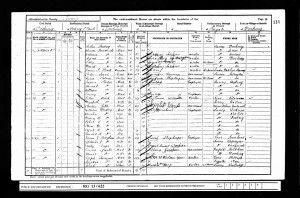 Jesse had nine known siblings: Emma born about 1856 Westcott Surrey (the 1861 Census); Ellen born about 1868 Dorking; William Charles born in 1869 at Westcott; Rosetta born about 1871; Alfred born about 1873; Lilly born about 1875; Minnie born about 1877; Joseph born about 1879 and David born about 1882(the 1891 Census) all in Dorking. At the time of the 1881 Census, Charles, Rosetta Strudwick and their children Jesse, Ellen, William Charles, Rosetta, Alfred, Lilly, Minnie and Joseph lived at Falkland Road, Dorking. Charles was working as a labourer and Jesse as a jobbing gardener. The family had also a boarder James Roker. Valentine’s father Jesse married his first wife called Ellen Strudwick nee Miler in the first quarter of 1884 in Dorking. Ellen was born about 1859. She gave birth to Valentine’s two stepsisters Daisy Ada and Alice Rosetta. Daisy Ada was born on the 7th of March 1884 Dorking and she was baptised on the 15th of June 1884 at St Paul’s in Dorking. Alice Rosetta was born on the 9th of March 1886, also in Dorking and was baptised on the 9th of May 1886 at St Paul’s in Dorking. Ellen died in the third quarter of 1887 in Dorking. She was buried on the 11th of September 1887 at St Martin´s in Dorking. Valentine’s father remarried. His new wife was called Louisa Fuller: Valentine’s future mother. The marriage took place in the first quarter of 1891 in Dorking. The 1891 Census shows Valentine’s parents Jesse and Louisa living with Daisy Ada and Alice Rosetta at 7 Spring Gardens, Dorking. Jesse worked as a gardener and Louisa as a laundress. 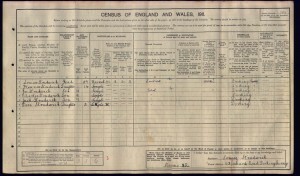 The 1901 Census reads, that the family lived at the time of Valentine’s birth at 74 Falkland Road, Dorking. Valentine’s dad continued to work as a jobbing gardener and Valentine’s mother still worked as a laundress. Valentine’s step sister Alice Rosetta worked as a laundry maid. Valentine’s brother Jesse was nine years old and sister Florence Lilian was four years old. Valentine Joe was one year old. Valentine´s mother Louisa was living at the time of the 1911 Census with her children Valentine Joe, Charles Henry, Jack and Dora Louisa at 63 Orchard Road, Dorking. Louisa stated that she was married and was working as a laundress. Out of Louisa’s stated nine children, only six lived. The accomodation had two rooms. 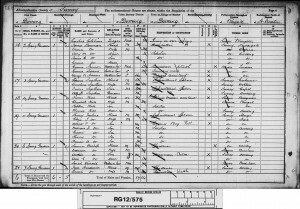 Valentine´s father Jesse lived at the time of the 1911 Census as a lodger at Mrs Rosa Clark a laundry woman, widow at 13 Church Gardens, Dorking, Surrey. He stated that he was married and was working as a gardener. Valentine Joe was a pupil of St Paul´s School in Dorking (the 1916 Dorking and Leatherhead Advertiser). 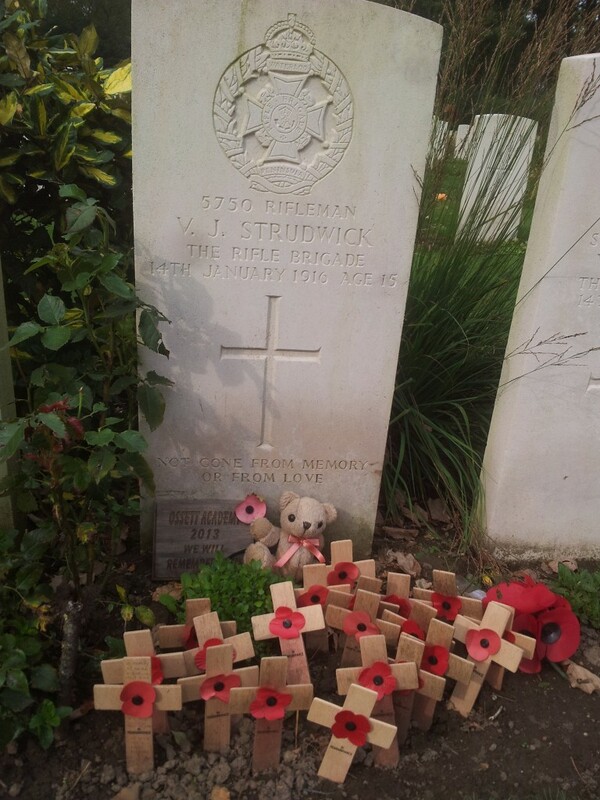 Valentine Strudwick is often claimed to be the youngest Rifleman killed in the First World War, (and this is often mistakenly taken to mean that he was the youngest serving soldier to have been killed). On this account his grave at Essex Farm Cemetery is much visited. Recent research, however, suggests that he was not the youngest Rifleman killed. And he was not the youngest local casualty. Aubrey Hudson of Newdigate died on 28th July 1916 at just 15 years and one month.